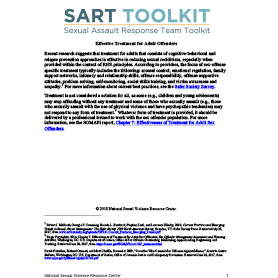 Description This resource describes effective treatment for adult offenders, such as emotional regulation, family support networks, social skills training, and more. 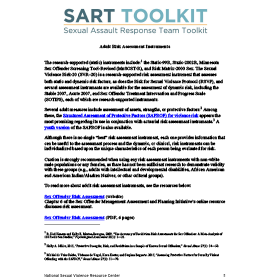 Description This resource discusses the potential risk factors and treatment targets&nbsp;that should be assessed when working with children. 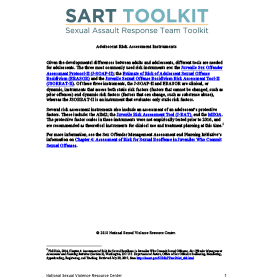 Description This resource provides a list of tools commonly used to determine adolescent risk and protective factors. 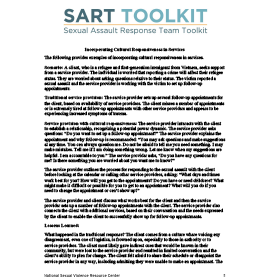 Description This resource provides examples of incorporating cultural responsiveness in services. 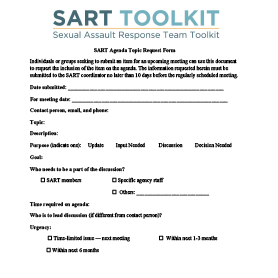 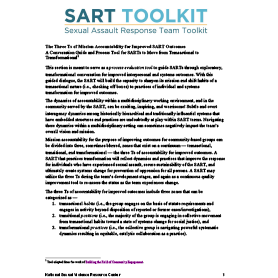 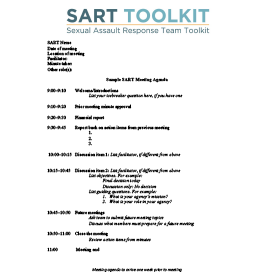 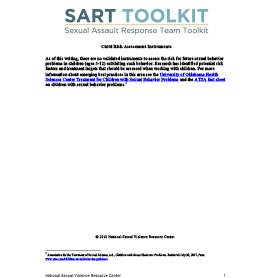 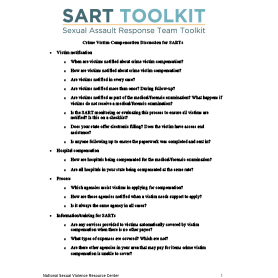 Description Sexual assault response teams can use this sample agenda for talking about victim compensation at a meeting. 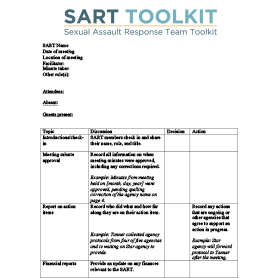 Description This tool helps guide SARTs from transactional habits to transformational practices.